General Motors CEO Mary Barra teased a little something extra during her recent visit to Harvard University. The CEO told a crowd of 200 students that GM has given a “tiny bit” of thought on building an electric pickup truck. The Detroit Free Press reported on the comment, but when Barra was pressed for more information on such a vehicle program she didn’t comment on future product. 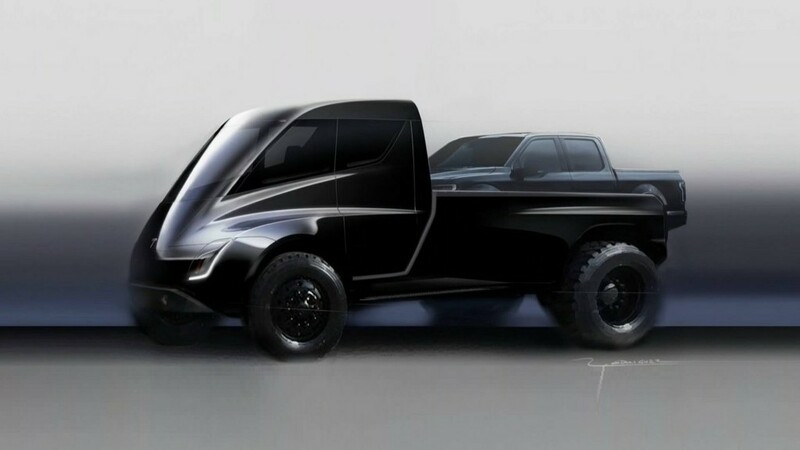 An electric pickup truck would be a first for the industry and it’s something rivals have already started working on. The most notable is Tesla. CEO Elon Musk has teased an electric pickup truck for years and said via Twitter last December that he’s “dying” to challenge Ford, GM and FCA with an electric pickup truck. He’s also spelled out what such a vehicle from Tesla would include, such as “dual motor all-wheel drive [with] crazy torque [and] a suspension that dynamically adjusts for load” as standard. GM has been at the relative forefront of electrification since the original Chevrolet Volt plug-in hybrid debuted, but it hasn’t applied much of its electrification efforts to pickup trucks. Instead, engineering has focused on making the current 5.3-liter and 6.2-liter V8 engines more fuel efficient with technologies such as Dynamic Fuel Management. The cylinder deactivation technology allows for the trucks’ engines to run on as little as one cylinder in some driving scenarios. The automaker did flirt with an electrified pickup truck most recently in 2016, however. 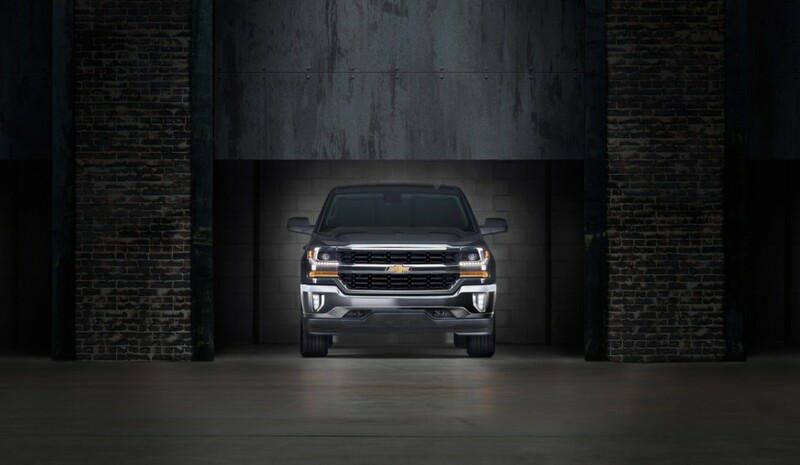 Chevrolet added the Silverado E-Assist as an option for truck buyers in California. GM built just 500 units and said it would re-evaluate production for 2017, though it’s been a quiet front since then. The E-Assist used Chevrolet Volt components for an additional 13 hp and 44 lb-ft of torque from the electric motor and a 13-percent increase in city fuel economy, equipped with the 5.3-liter V8 engine. The truck also gained regenerative braking. Perhaps GM has a something really different up its sleeve in an electric pickup truck. Surely, it will be honed specifically for North America as the pickup quickly becomes more than a workhorse for many buyers across the continent. If GM has any sense they will be working aggressively to launch and electric truck. 2021 model year, unveil it next summer. Warning, SEAN, shadowbanning people because their comments disagree with you or dont fit your left-wing political bent will bring pain to this site. Like Qanon said…”These people are stupid!” No wonder they lost the election to Trump. haha. Sean is so used to making cookie cutter Mary Barra stories that he forgot to change the sub-title of this article on the main page. Still reads about Barra and Harvard (that corrupt school in the northeast). Seriously, Sean, I agree with others in saying the whole Mary obsession is getting a little out of hand. It is like you don’t expect she can stand on her own two feet and take responsibility for her decisions, good or bad. Mary is fine, she doesn’t need a patronizing blogger to back her up. Until carmakers make an e-truck, and e-suv/cuvs with good range and fast/easy recharge, e-vehicles are gonna be stuck with compacts and sedans. Trucks and SUVs drive GM’s sales., yes? Until GM, or anyone else, e-nails those two categories, and nails the infrastructure (why Exxon or BP/Shell etc) aren’t in on this, I dunno), e-vehicles will be limited to compacts and sedans, and the occasional SUV. The latest trump-humper conspiracy. They think the educated class is secretly blocking their social media posts from reaching their followers without actually banning their accounts. Turns out they just think their opinions are more popular than they actually are. Come to NYC where shadow conspiracy’s are the democratic party’s bread and butter. My union had all the union site reps(i’m site rep for my site) and media say that Janus ruling would cause all members to loose their health benefit. They even put together handouts to give out. End the ideological taking sides and other views are false or the people as bad because they voted for the person they thought was the best for their family. I own a Chevy bolt, recycle and volunteer at a soup kitchen. I voted for Trump because like his tweets or not, His policies are needed to pull out of the Obama and liberal death roll of raising taxes and regulations to have people loose jobs and accept socialism . This includes pitting people against each other by identity politics, race politics . My first car was a used 1977 Firebird. Been a GM fanatic ever since . Electric make no sense for trucks anytime soon. And not a one could even be posted here, because you don’t have the balls to post it. Calling your bluff, just like all those times you pretended to know someone’s IP address from their post. Really, if GMA’s journalists and editors have a political opinion that you disagree with, you could always leave. Nothing says you have to stay here, unless you’re a sucker for punishment, and that you actually enjoy being riled up. Another option is that you yourself could become a journalist and run your own automotive news blog. Then you could have all the time in the world to post whatever you like to whoever your audience would be. Oh, a Qanon loon in the wild. How very interesting. C’mon Mary, if your serious about doing the ‘right thing” it would seem to me that since trucks are such gas hogs – even with the latest updates, and are selling in such huge quantities, then electrifying them would be the biggest gain in CO2 drop. I would be tickled green to replace my 13mpg Silverado with one. With even a “tiny” bit of vision it’s not hard to fathom a near future when burning fossil fuels will seem idiotic at best – even in our Volt – which for now seems like a decent stop gap measure… At least till the Cabal further looses their grip on controlling the Shee ee eeple on this little blue orb. I hope GM offers a plug-in truck soon. Battery only EVs are all the rage today, and auto makers love them as well because they are easy to design. But I’m not sure trucks work well as a BEVs, sure they are fine for commuting to work and light hauling on the weekends, but there are a large number of people who use their trucks as a tool of their trade. Payload weight could vary widely from day to day, as could the distance they have to travel. In order for an electric truck to accommodate these people the manufacture would have to design to support weight/distance requirements of 90%, or higher, of their intended market. This means a lot of expensive and heavy batterys, and drive motors capable of driving at reasonable speeds and also handling hilly or mountainous terrain. There are also people who use their trucks for recreational purposes like hunters or campers who will be operating their trucks where there will be no charging facilities nearby. For these reasons, I think an extended range plug-in propulsion system makes the most sense for a truck. What this entails is an electric drive powered by a moderately sized battery to provide sufficient light load range for about 90% of the trips made by their users, about 80 miles. When the battery is depleted power to the electric drive should be supplied from a gasoline driven generator. This of course, is the approach taken by GM for the Chevy Volt. The Volt was released in 2011 and has proven to be capable of delivering on everything GM said it would do. Instead of giving a bit of thought to electric trucks, why not use what they already have, the Volt’s proven design? Scale it up to provide a highly efficient powertrain that will have low operating costs and superior driving characteristics. Here’s my suggestion, scale the Voltec powertrain up to produce about 200 HP at the front wheels. Add an additional 200 HP traction motor to the rear, and increase the generator output to around 100 KW, of course the ICE has to be sized up to be capable of driving the generator, a two liter turbo four should be adequate. Use the rear motor to produce the majority of torque necessary to launch the vehicle and for acceleration. The traction motor in the front for all other operation except where 4WD and high output is needed, in which case both motors operate together with electronic torque vectoring for stability. In general I agree, and it sounds like GM started to but backed off. Maybe it would be stupid to compete with their money makers, earlier than they have to, or at least until they can be built profitable. We’re still a couple years (approx) away from that, unfortunately, and no viable competition yet, so why would they? It will happen PHEV/Hydrogen fuel cells, Full size/mid-size trucks, already been said. (2020-2021). Cadillac next gen escalade will be PHEV, should give you a good point went it will come. Would this be a bad time to bring up zero point energy …again? Heh, I can affirm they’ve given it a LOT of thought. Prepare to be blown away at how far ahead GM are in the EV market. The only fly in the ointment is the stupid trade wars with our allies, but hopefully Americans come to their senses before GM’s EV line hits the market. GM should at least go back to the Drawing Board with Hybrid Technology if they’re too hesitant to go All-Electric, the 2019 RAM just received an award for it’s innovative measures of the well performing Pentastar V6 Adapting to the Hybrid Power train with very good results. Anyone here ever taken a look at the new full size Rivian pickup and SUV? 400 mile range, 800hp,0-60 in 3 seconds, designed specifically for off road use,$65k…. Am I crazy? Are these fake? If they are reaffirm real then all electric full size trucks are going to CRUSH the current fossil fuel slugs…. Jus sayin….